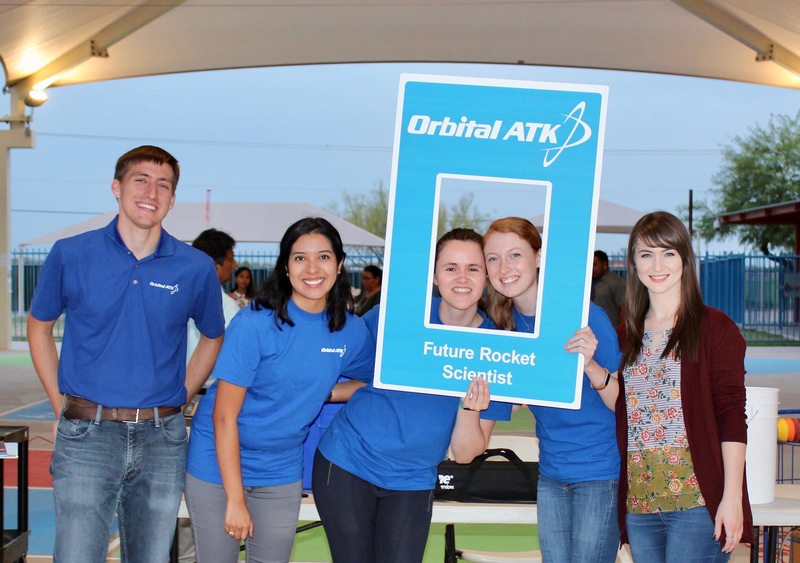 Every time we have a STEM event, or SPACE Day, one group I always count on is Orbital ATK, a Chandler, Arizona-based company. Rockets and launches are in the news every month. Just this week, Orbital ATK launched the 139-foot rocket, Antares; the 200th mission to the International Space Station. For STEM Night at Salt River Elementary, Orbital created an amazing demo using a ‘transformer rail gun‘ – basically accelerating magnets that transfer potential energy to kinetic energy. Plus canister ‘pop rockets’ that explained what Newton’s Third Law is all about. Thank you Javier Molina-Moughamian, Shannon Burke, Monique Dalton, Kelly Wallace, and Kimberly Barraza for being part of our team.